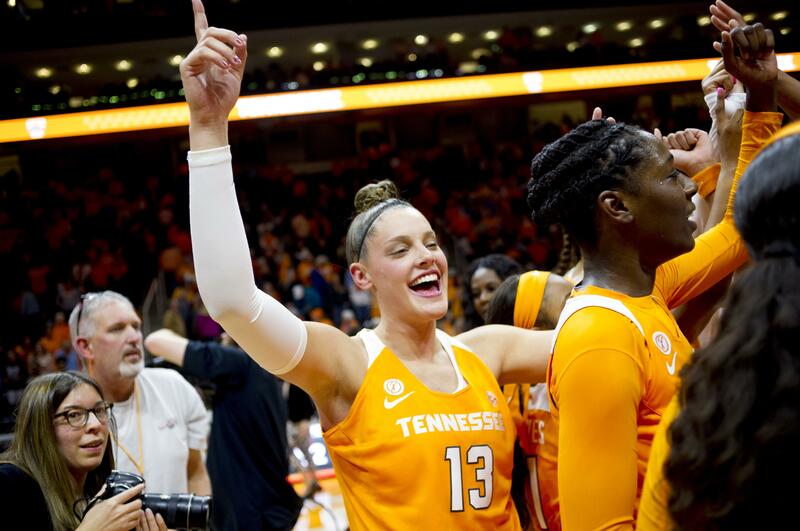 NEW YORK – Tennessee moves back into the top 10 after a big win while UConn continues to be No. 1 in The Associated Press women’s basketball poll. The Lady Vols (10-0) knocked off then-No. 2 Texas on Sunday and climbed four spots to seventh in the Top 25 on Monday. Tennessee, which was a perennial top team in the sport, hasn’t been among the first 10 teams in the poll since Nov. 30, 2015. The Longhorns dropped six spots to eighth. Both teams are chasing the Huskies (8-0), who routed DePaul in their only game this past week. UConn received all 32 first place votes from a national media panel. The Huskies, like many other teams, are off for exams this week. Notre Dame, Louisville, Mississippi State and South Carolina follow UConn. Baylor, Tennessee, Texas, Oregon and West Virginia round out the first 10. Iowa (10-1) entered the Top 25 for the first time since 2015, coming in at No. 25. Kentucky fell out. Published: Dec. 11, 2017, 10:33 p.m.